Warren Gatland Dinner - tables selling fast! 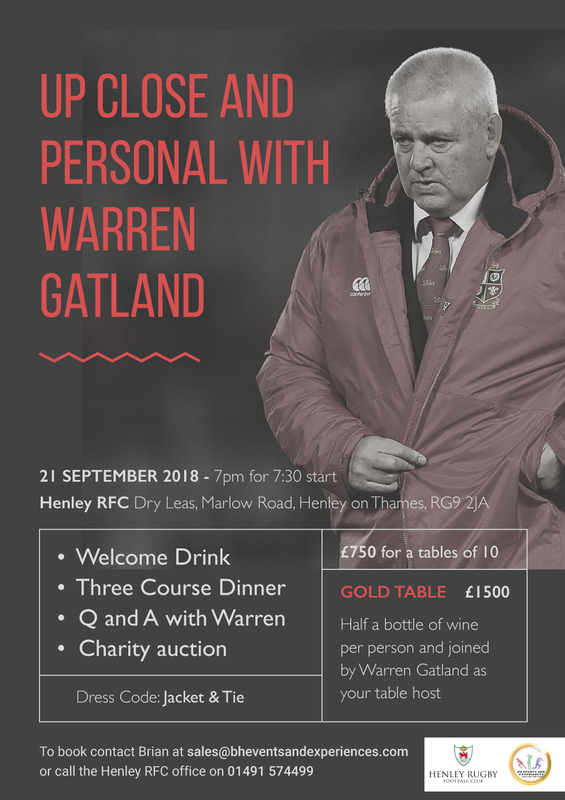 If you're still interested in taking a table for the Warren Gatland Dinner on Friday, September 21st, please be aware that we only have a few tables left. It promises to be a fantastic evening, so please do contact Mary on 01491 635350 or email admin@henleyhawks.co.uk as soon as possible if you're keen to attend. We still have the sponsors table available at £1,500 for 10 people which includes having Warren as your table host for the evening.